Export plastic pallets, provided by Pallets Sydney, are in stock to suit your exporting and shipping requirements with rapid delivery from Sydney supplier. All our export plastic pallets are quality checked, custom selected, and come with a range of options that include nestable or non-nestable. Our export plastic pallet company services Sydney and regional NSW with the emphasis on customer excellence and quality plastic export pallets. 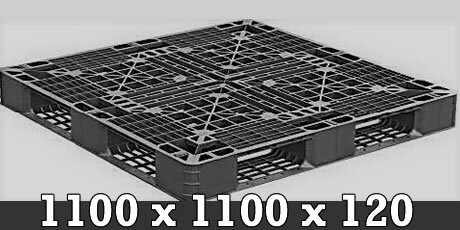 Our 1100 x 1100 export plastic pallets are ideal for shipping overseas and only weigh 7.5kg making it easy for manual lifting by one person. Our 1100 x 1100 nestable export plastic pallets are ideal for shipping overseas and are made from Polypropylene Carbonate (PPC) using recycled materials. Our 1200 x 1000 lightweight export plastic pallets are perfect for shipping overseas and are also constructed from Polypropylene Carbonate (PPC) using recycled materials. 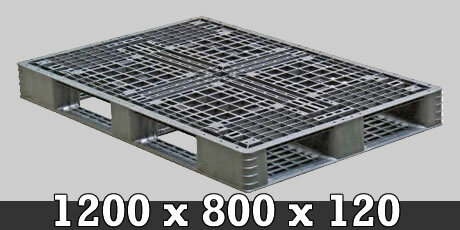 Our 1200 x 800 narrow export plastic pallets are perfect for getting through narrow doorways and openings. They are ideal for one way overseas shipping and air transport. 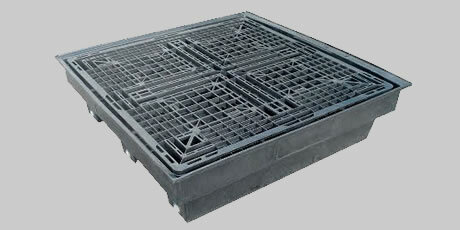 Need a quick plastic export pallet quote? Either call us direct on 0400 845 713 or, fill in your requirements on our quick quote form and we will get back to you as quickly as possible. I required some plastic pallets to be used in air transport. 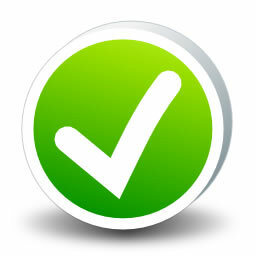 We were referred to Pallets Sydney and found their service was wonderful. They delivered the export pallets to us in 48 hours. Our products arrived safely in the US. I would use Pallets Sydney again. Would definitely use Pallets Sydney again as their service was fantastic. Helpful staff and the pallets were ideal. Delivery was on time too. Recommend.